Slacklining was created by rock climbers; now it’s being used by yogis. Originally invented twenty years ago as a way for climbers to pass the time and improve their balance when not scrambling up rock walls, slacklining is being touted by yogi Jason Magness of YogaSlackers as a way to improve focus, balance, breathing, and more. Magness tells Yoga Journal that when he first discovered slacklining many years ago as a climber, it seemed impossible. After practicing yoga for three years, however, he rediscovered slacklining, and is now a devoted practitioner. The oblique muscles are activated when balancing on a slackline, which Magness says is useful for finding out where balance comes from and figuring out how to control those muscles. 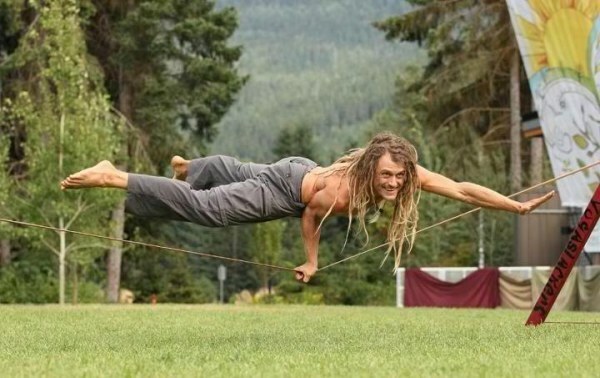 Although it sounds tough, it seems that many people have the desire to rise to the challenge, since combining yoga and slacklining is taking off—when it first began, Magness and his friend Sam Salwei began with one class (which they called a “slackasana” class, according to their website), and soon made a DVD, followed by more classes and workshops. After increasing exposure, YogaSlackers now teach on all seven continents, and held their first teacher training in May 2011. They also include AcroYoga in their repertoire. 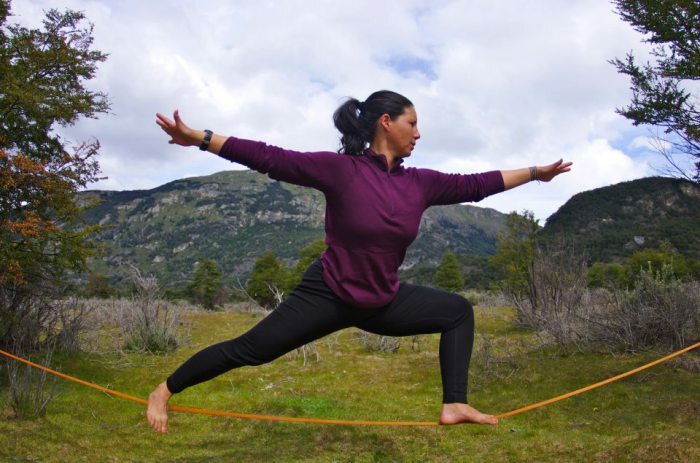 Confidence, flexibility, balance—the list of benefits to slacklining yoga is apparently endless, proving that these “slackers” are anything but!